For visitors and residents, finding waterfront things to do in Washington State is never a problem. Lifelong adventures and weekend getaways in Washington state are limited only by energy and imagination! Maybe you're more into birds than balls? Birders flock to Northwest Washington, the Cascades and the Olympic Peninsula for snow geese, spotted owls, bald eagles more. Of course, Washington wildlife is more than just birds. Any angler will tell you that Washington fly fishing is some of the best in the country (as is the fishing for salmon, walleye, trout and other species, both wild and stocked). Interested in something a little bigger? How about whale watching from the San Juan Islands? Needless to say, there are many waterfront things to do in Washington State. As always, if you have a story that you would love to share about your experience with waterfront things to do in Washington State, please visit the Washington Waterfront Facebook page! We would love to hear where you enjoyed a waterfront vacation in our lovely state! 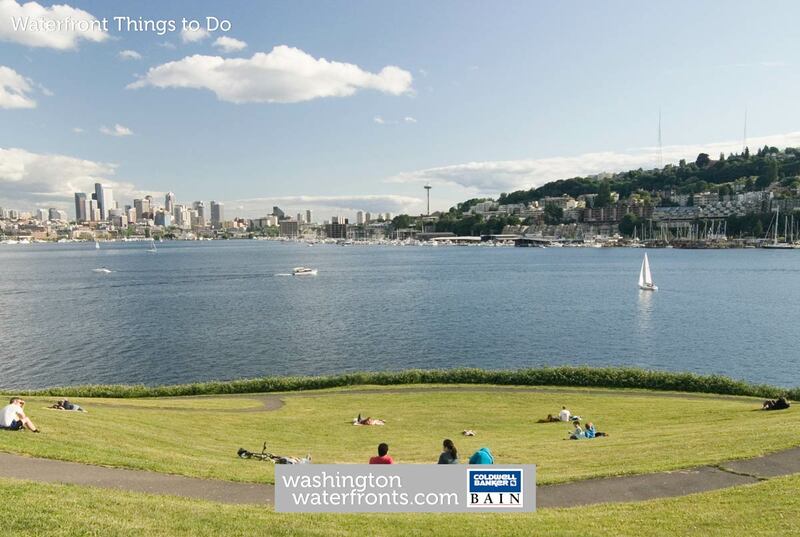 Over the years, we've built as comprehensive list as possible of Waterfront Things to Do that we feel should be among your consideration when seeking to enjoy Washington State Waterfront Things to Do. Please enter your email address below and our list will be automatically emailed to you!